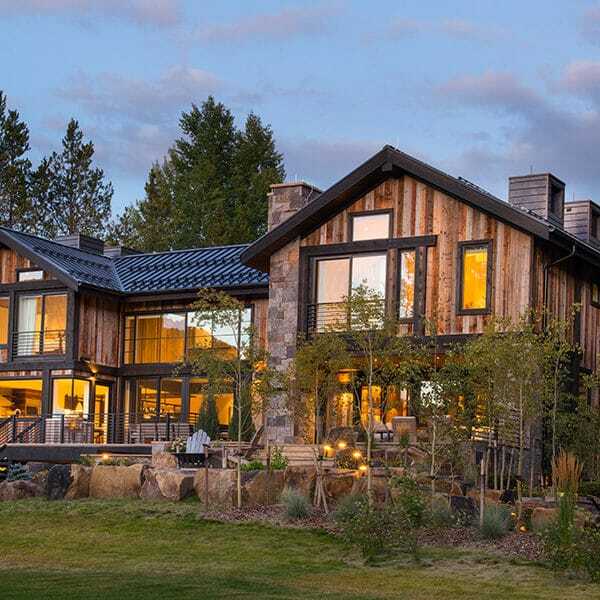 Designed and built to take advantage of mountain views to the south and Lake Creek to the west, Nine Pines Ranch is characterized by outdoor spaces that extend into the interior living environment. Built to USGBC’s LEED® Gold standards, the home has many sustainable features, including a high performing building envelope, use of interior thermal mass materials at the south facing windows, spray foam insulation that achieved R-63 in the roof and R-35 in the walls. The home has multiple Weiland® sliding doors to bring the outdoors in.